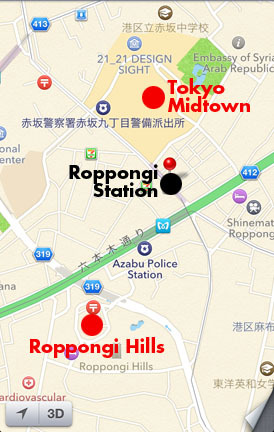 • Roppongi Hills and Tokyo Midtown are at opposite ends of the station platform. Decide which one you want to visit first, and follow the signs to the right exit. • After you exit, the way to the Illuminations will be well marked, plus you can easily follow the many couples out for a romantic viewing date.